The number of people sleeping rough on the streets of Dublin has grown by over one fifth in the past year, according to figures released this evening by Dublin City Council. The latest count, carried out on 11 November identified 168 individuals as "rough sleepers", up from 139 in November last year, an increase of 21%. The increase is even steeper when compared with April this year when 127 people were sleeping rough in the capital city. Dublin Simon Community said the figures are an absolute minimum as they exclude the so-called "hidden homeless" who are couch surfing, and staying in squats, hospitals, internet cafes and temporary B&Bs. Minister for the Environment Alan Kelly warned that the increases reflect "the seriousness of the challenge facing the Government, the voluntary sector and other agencies in tackling the homelessness problem". In a statement, he said he is pleased that an additional 20% of funding will be available through his department for homeless accommodation and related services next year. He said that last May's Implementation Plan on the State's Response to Homelessness outlines how the Government intends to end involuntary long-term homelessness and the need to sleep rough by the end of 2016. Mr Kelly said it is not acceptable that people should sleep on the streets and that accommodating them is one of the priority areas identified in the Government's plan. He added that his soon-to-be-published Social Housing Strategy will deal with housing supply for all social housing households. The Simon Community said homelessness in the capital has spiralled out of control and said its soup run and rough sleeper team, who are on the streets 365 nights of the year, have seen a "drastic increase" in the numbers looking for help. Spokesperson Sam McGuinness said the 11 November count is "shamefully" the highest figure recorded since the official count began in 2007. He said over 1,500 people are forced to take shelter in emergency accommodation in the Dublin region each night, a figure which does not include the high number of families and children suffering the effects of living in hotels and other poor emergency accommodation. Mr McGuinness said: "Currently we are faced with a fast moving tide of homelessness and it’s vital that we are able to provide, suitable housing for people who have fallen into the despair of homelessness. "Using our new Housing Development Fund, we are committed to the sourcing and acquiring of fit-for-purpose properties across Dublin, Wicklow, Kildare and Meath. "Over the past year we have increased our accommodation capacity by over 50% in order to respond to the huge demand." 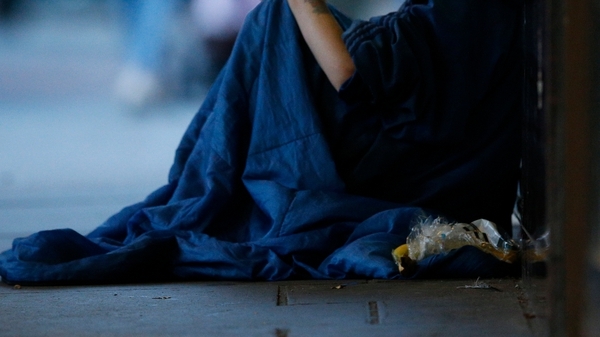 Another homeless charity said the figures show the crisis is deepening. Focus Ireland said rough sleeping remains a serious problem due to the continued lack of access to housing to help support people to move on from being homeless. 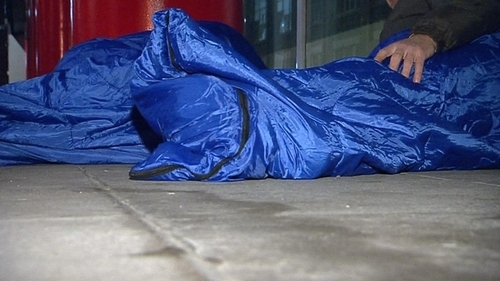 The charity called for improved access to a range of suitable emergency accommodation, saying some people sleeping rough who do not use drugs will not stay in some hostels due to widespread drug use and end up sleeping on the streets as they have nowhere else to go. Director of Advocacy Mike Allen said families and single people are struggling to keep up with their rents, which have risen by 17% in Dublin and also increased nationwide by various amounts. He said the Government took no action to raise rent supplement levels in October's Budget, but it could stop more people losing their homes with the "stroke of a pen" by raising the supplement to match market rents.